Nowadays designing a real recommendation system has been a critical problem for both academic and industry. 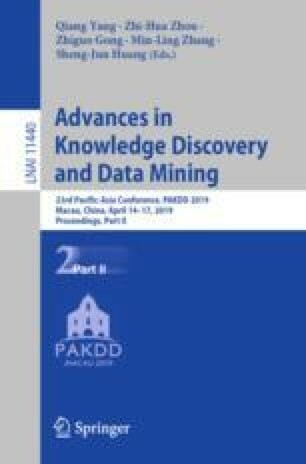 However, due to the huge number of users and items, the diversity and dynamic property of the user interest, how to design a scalable recommendation system, which is able to efficiently produce effective and diverse recommendation results on billion-scale scenarios, is still a challenging and open problem for existing methods. In this paper, given the user-item interaction graph, we propose RNE, a data-efficient Recommendation-based Network Embedding method, to give personalized and diverse items to users. Specifically, we propose a diversity- and dynamics-aware neighbor sampling method for network embedding. On the one hand, the method is able to preserve the local structure between the users and items while modeling the diversity and dynamic property of the user interest to boost the recommendation quality. On the other hand the sampling method can reduce the complexity of the whole method theoretically to make it possible for billion-scale recommendation. We also implement the designed algorithm in a distributed way to further improves its scalability. Experimentally, we deploy RNE on a recommendation scenario of Taobao, the largest E-commerce platform in China, and train it on a billion-scale user-item graph. As is shown on several online metrics on A/B testing, RNE is able to achieve both high-quality and diverse results compared with CF-based methods. We also conduct the offline experiments on Pinterest dataset comparing with several state-of-the-art recommendation methods and network embedding methods. The results demonstrate that our method is able to produce a good result while runs much faster than the baseline methods. We would like to thank all the colleagues of our team and all the members of our cooperative team: the search engine team in Alibaba. They provide many helpful comments for the paper. We also would like to thank the support of the Initiative Postdocs Supporting Program and the valuable comments provided by all the reviewers.